Do you like Westworld? Then you’ll love Wild West City! 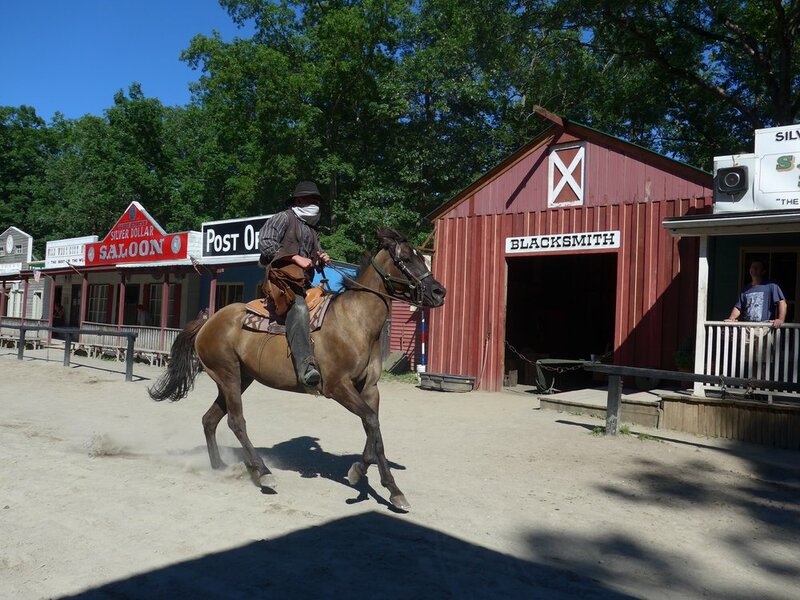 Located in Stanhope, NJ, it’s a historically accurate replica of 1880s Dodge City, Kansas. Not only do you go back in time to the 1880s, you get to go back in time to the 1960s! We are suckers for mid-century charm, so this place was right up our alley! This is a true family-run park that has been around since 1957 with the Stabile Family running the park since 1966. While some might call it outdated, I couldn't be more enthralled with feeling like I stumbled upon across a family gem. There is some sort of show or happening about every 15 minutes (think bank robberies and shoot outs). The staff are friendly and dedicated to making sure you have a good time. I met one of the gentlemen who said it was his 23rd season while beaming with pride. This is great for kids 10 and under with many of the activities encouraging participation (your child can be deputized and help bring bank robbers to justice). It was a hot day when we visited this summer, and looking to get out of the sun, I stumbled into a room with museum-quality Native American artifacts and art. I was very impressed with their collection and it’s a treat for adults and youngsters alike! I didn't have the food, but the onsite restaurant, the Golden Nugget, had live country music and cold beer (both loves of mine!). There is also a picnic area if you prefer to bring your own food. I would plan on spending about 2-3 hours there. Other activities include a petting zoo, a small train ride, pony rides (Sally had her first pony ride! ), a stagecoach ride, old-timey dress up family photos (a Harris Family favorite! ), miniature golf, panning for gold, and don’t forget to leave time for the gift shops! I can't wait to go back to this sweet family park and hope it stays open for years to come!